Wrestling with bungee cords and flapping tarps can feel like a cruel punishment for wanting to get outdoors, much like mosquito bites and sunburn. It’s the bungee cords though that can turn into dangerous projectiles when they snap or come loose, which is an easy way to lose an eye. LYNX Hooks appears to be the hybrid baby of straps and bungee cords – and inherited only the best qualities of both. LYNX Hooks are engineered to fit most bars, loops and grommets, but if what you’re attaching it to is bulky or an unusual shape, you can run the hook through the loop at the end of the strap to create an anchor point – be it around a tree, a fence post, or Grandma (though we’d hesitate to recommend that last one). Unlike bungee cords, LYNX Hooks click into position, which can provide a reassuringly audible confirmation that your hooks are secured together – and won’t separate until you squeeze them apart. At its shortest, a LYNX Hook strap is 48cm, however the built-in adjustment buckle can extend its length to 114cm. Still not long enough? LYNX Hooks can link together ‘face-to-face’ to make a strap of limitless length. 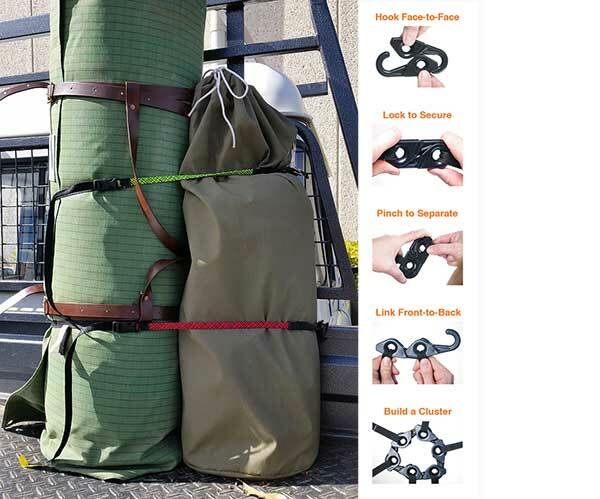 Another cool feature we like is interlocking the hooks ‘front-to-back’, which can essentially create a custom multi-way cargo net out of three or more straps coming down from one connecting point. The adjustment buckle on the straps ensures that your load will be secure no matter what its shape, because the individual straps can be lengthened or shortened depending on the size of the load. LYNX Hook straps also have a quick-release buckle for easy access to your gear, or to release the tension safely before removing the strap’s hook from its anchor point; the last thing you want when unloading your kayak is a slingshot to the face. LYNX Hooks have patented straps that are made of premium solid rubber covered in high-quality and weather-resistant woven polyester. 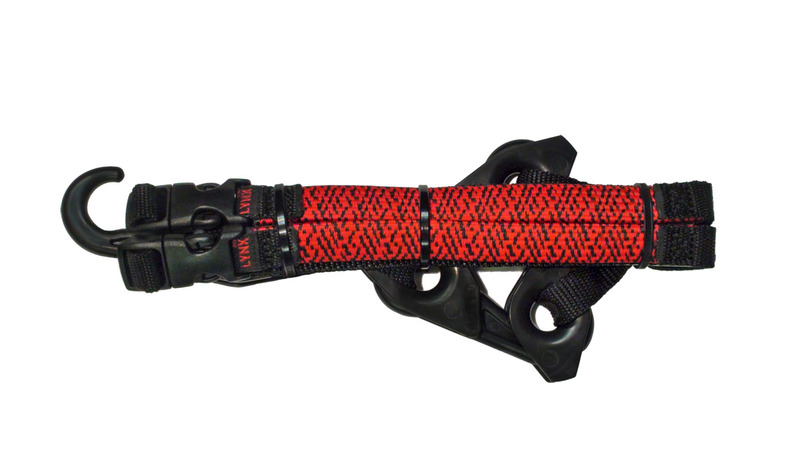 This is attached to non-stretch webbing that the adjustable buckle and quick-release buckle are built into. The hybrid nature of the LYNX Hook means the stretch absorbs shock and the polyester webbing strap remains firm to secure the load. The guys over at LYNX Hooks say they’re the finest and safest lightweight sport tie-down straps on the market and looking at the specs, we reckon they just might be right. To find out more, visit their website at www.lynxhooks.com.au or watch the video here. Unsealed 4X4 – Issue 018 Out Now!